Cluster League 13 goal thriller !! 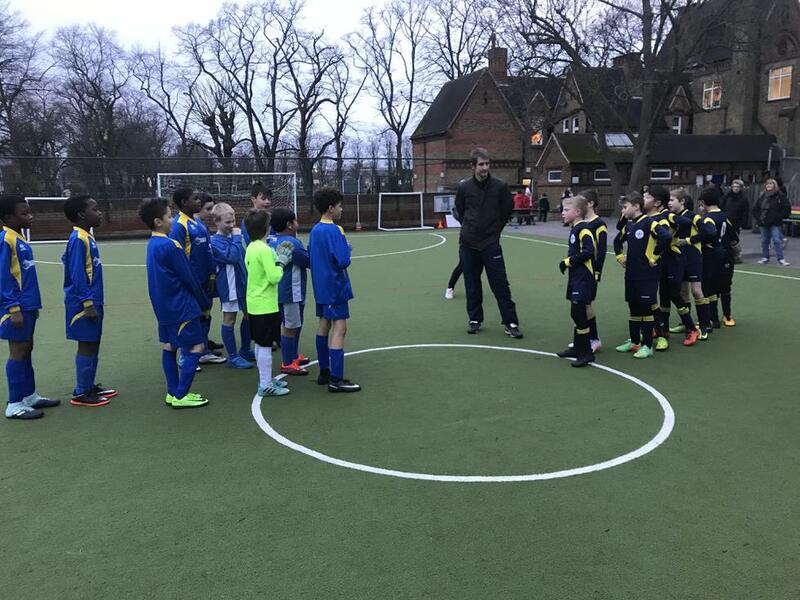 The new year got off to a sizzling start in the boys y5 & 6 cluster league. Team SJP welcomed Christchurch New Malden to St Joseph's and the game did not disappoint. Throughout the whole match it was end to end with both teams playing some fantastic football. There was lots of goals and lots of action as both teams conceded and then scored, this pattern continued all the way up to 6-6. Eventually Christchurch where able to score the winner with a low hit shot that found its way past the SJP goalie and into the bottom corner. The game was played in fantastic spirit and both teams where allowed to express themselves and be creative. Team SJP now turn their attentions to face Burlington at Home in the cluster league.